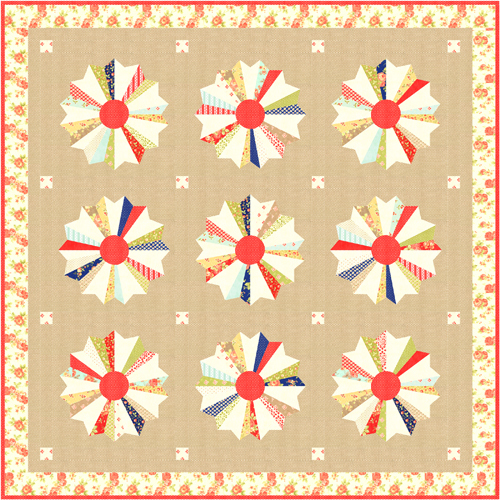 Joanna Figueroa channeled a vintage, seaside vibe for Avalon, her 28th line of fabric for Moda. Joanna’s daughter (the youngest of her three children) is 8 and already doing some sewing on her own. 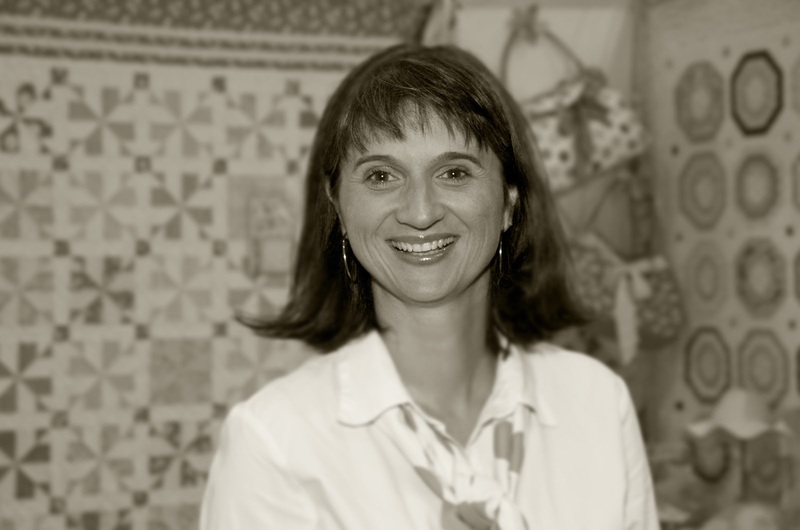 She’s also on the cover of Joanna’s book With Fabric and Thread, a volume that’s designed to please stitchers of both sewing and quilting persuasions. 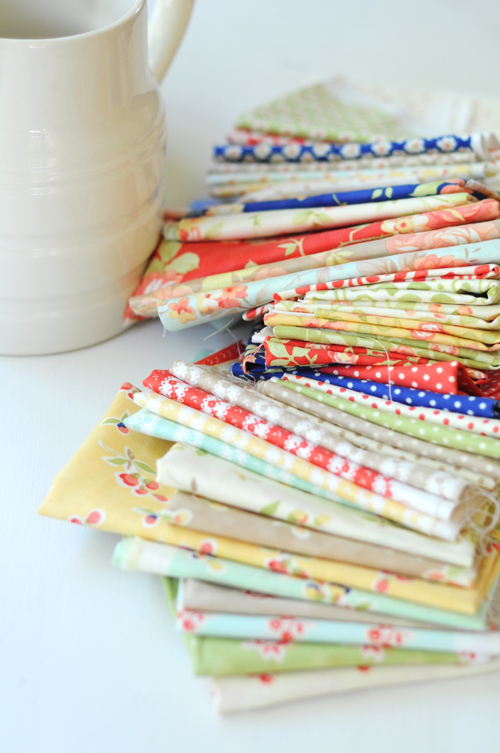 Joanna’s photos and fabrics radiate warmth and provide the perfect antidote to February blahs. 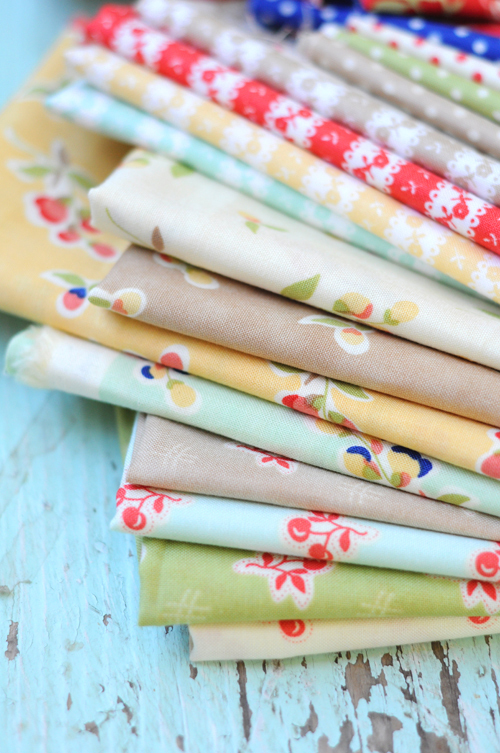 Sewing is one way to make a long winter go faster—sewing with Joanna’s fabric will remind us that spring is on its way. 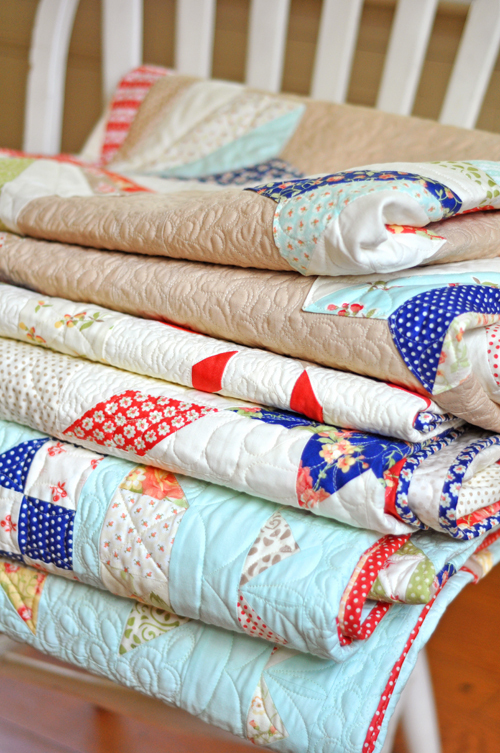 Previous Previous post: CELEBRATING American Patchwork & Quilting! I have to say, this is one of my favorite lines of yours yet; I love the vintage looking colors, both bold and subtle. Love the book, too! 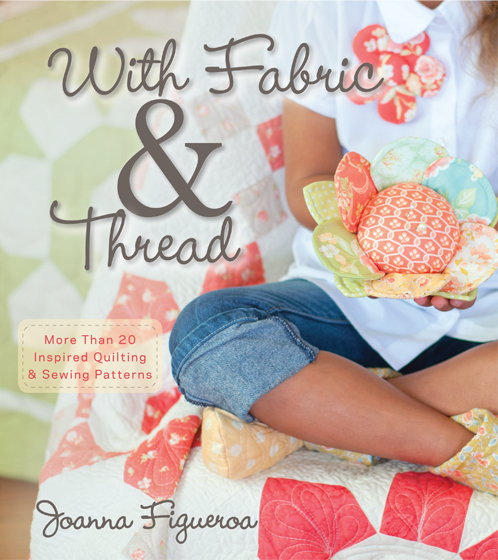 I checked it out from our library and it is now on my quilt book list!